1. Carefully cut the bag open, right under were it is sealed, making sure not to cut all the way through. 2. Clean the pouch out and remove the plastic strip behind the straw opening and let dry. 3. Take a piece of sticky back velcro and and cut both sides in half length wise and then cut to width of drink pouch. 4. 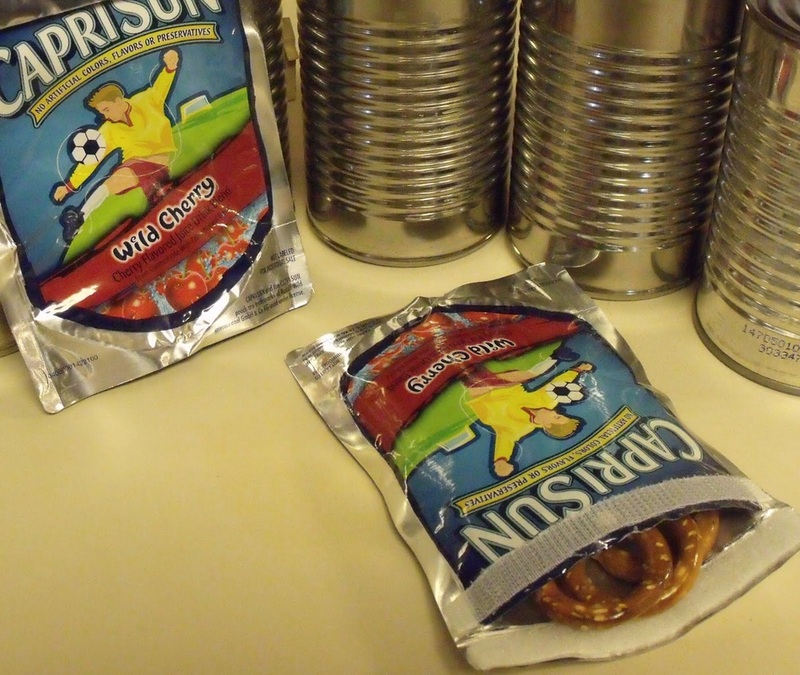 On the top of the drink pouch adhere the velcro and then attach the other side of the velcro to it. Peel the backing off and then fold it over making the cutest little reusable bags for next to nothing!